I was just curious as to how many of y’all fish salt with a fly rod? I hear a lot about various baits and lures but not much about fishing with a fly rod. Sight-fishing big specs is my greatest fly rod thrill, and been fishing fly rod in the salt since 1974. I figured you were one Ron. I’ve seen your posts on GRTU. Maybe we’ll get together one of these days. Fly guy here. It’s about all I use out in the salt. Surf, bay, marsh, river, sight casting, sign or structure, I like it all. I saw another person fly fishing yesterday morning as I drove the beach looking for fish. We’re around. 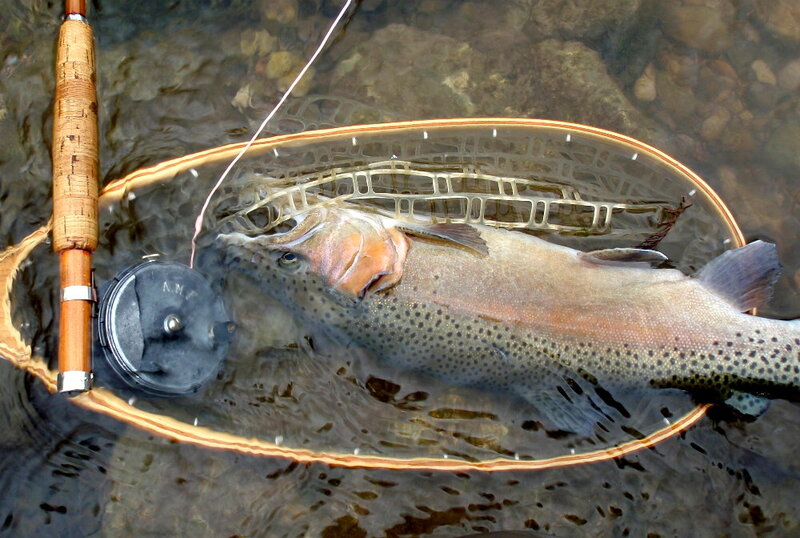 For many years I reserved my fly fishing for the streams and rivers of New Mexico, Colorado, Montana, and Arizona. My salt water fishing had pretty much evolved into sight casting for reds with top waters. 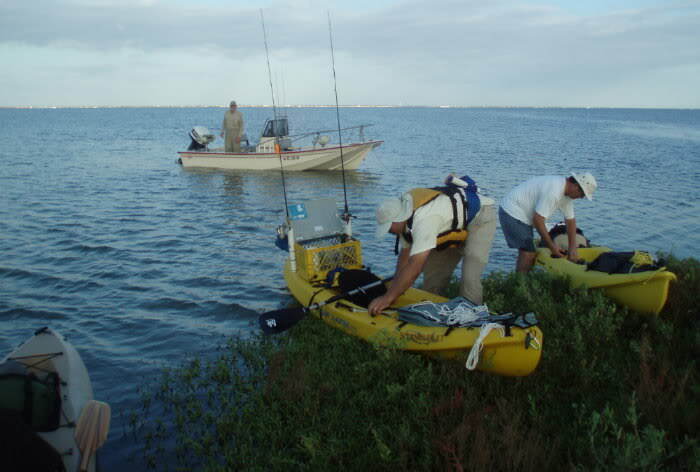 Upon retiring in 2003, I began kayak fishing in earnest. As such, I stumbled upon and joined TKF. I believe it was reading a TKF post by Ron Mc (I think it was Ron Mc) about fly fishing for red fish that caused me to give it a try. My success was very slow in coming. The learning curve, since my fishing companions did not fly fish...,at that time..., was relegated to a snail's pace. 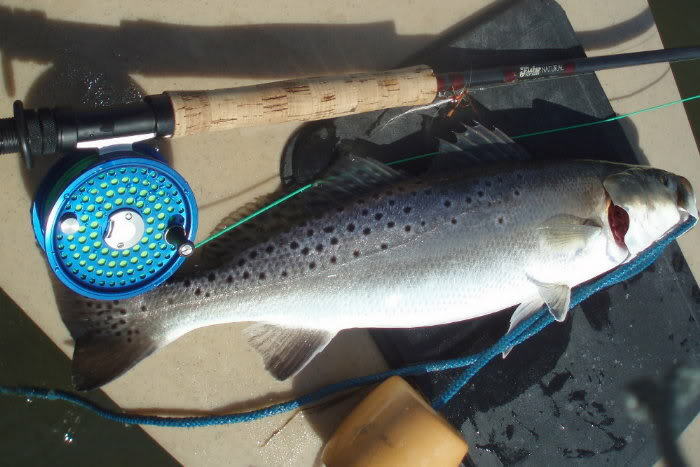 Then, one very memorable day, while walking the Port O'conner jetties, fly rod in hand, a red spoon fly on the end of my tippet, I spotted a red in the flat and put that fly about one inch in front of his nose. The end of my adventure is quite familiar to the many salt water fly fisherman that buggy whip the Gulf Coast salt waters these days. I seldom fail to have a fly rod at close hand when salt water fishing these days. It's not only the fish that can become solidly hooked by something. On a trip along the CO/NM border in the 90s, Billy Trimble wouldn't sit still to listen to my big redfish tales. 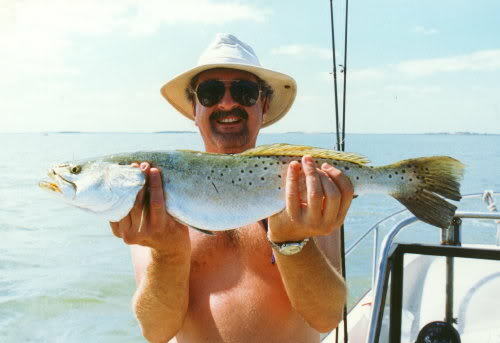 Then he was the resident trout wizard, and wouldn't fish anything else. But in this century, all he does is the salt. I'm another one. When I fish the salt, I carry a spinning rod and a few lures as back up for high winds. Living in north Texas, I do more warm water fishing and make the 2-5 hour trips to OK and MO for trout. Can't remember the last time I used conventional tackle in freshwater. As good as trout fishing can be, it is only a shadow of chasing reds and specs. The other thing I love about salt is that you can, and will, catch a variety of species on any given day. That, and I have never had a day on the trout stream where I pull up to a cut and catch fish on most every cast (I'm talking specs here) to the point where my arms are cramped and my fingers are raw. Frreed wrote: I'm another one. When I fish the salt, I carry a spinning rod and a few lures as back up for high winds. Well I have to admit that I have been carrying my spinning rod on my kayak as well. My partner calls it going to the dark side. 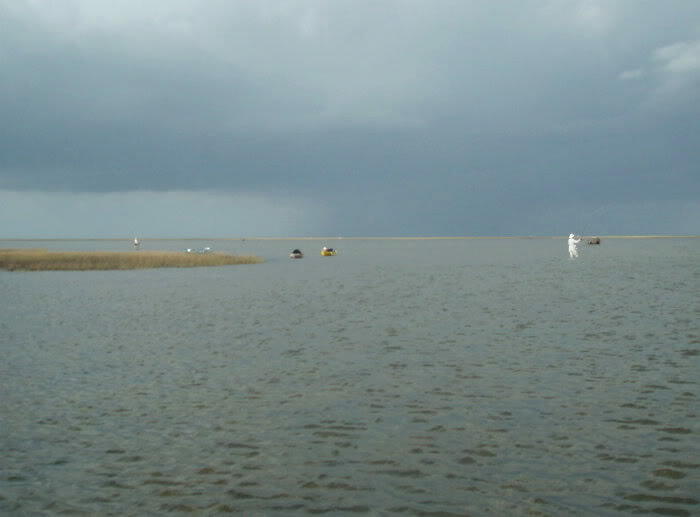 But I have been in narrow marshes with hi grass on the sides that I could not get a cast off sitting in the boat. Or if all I’m doing is blind casting and not catching anything I might try a Hail Mary with the spin rod but I save it only as a last resort to try and save the 3 hour drive down. You’ll drive 3-5 hours north and not down to the Guad for trout? 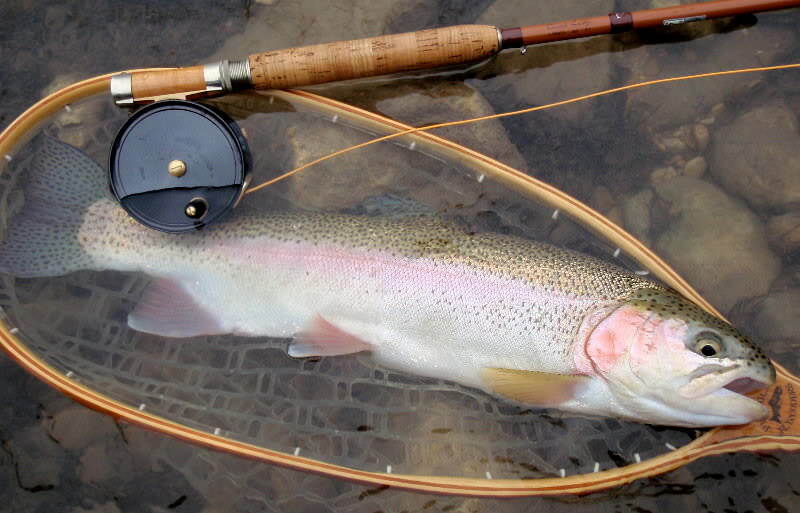 Blind fishing a fly rod is for very specific times, when current and structure says you ought to be on fish. Otherwise with a fly rod, you should be sight-fishing fish or fish-sign. Most blind fishing should be done with baitcaster or spinning tackle. With a flyrod, it's pointless to cast and cast without catching fish. I'm 20 minutes from the Guadalupe tailwater. not my biggest, but a handsome buck and admitted a little bigger than the Guadalupe norm. Yeah, nymph fishing is sort of like blind fishing, but it's also sort of like cane-pole fishing if you're doing it right. we were paddling kayaks to the back of the lake, and staked them out to wade, but also had a power boat shuttle us across Aransas Bay - my dad. I was posting on corpusfishing about drift fishing up from South Padre, Oilfield Flat, East of 3 Islands flat, Green Island. Drift fishing, I would be using a baitcaster, and have a rigged fly rod with slime line staged and ready. See fish sign, switch to the fly rod, and catch fish on the fly rod. Here, anchored the boat and eased the anchor up to the slope of Marker 203 flounder hole (that's Green Island in the back). This is worthwhile blind-casting with the fly rod, because it's a logical place. Another example from Oilfield flat - first off, if you can find the old oilwell, the slope of that hole is killer, which I did once with a guide and a few other times on our own. But the old channel that runs to the oil well, which is easy to find, it's right beside 3 Islands - where it joins the intercoastal is a killer place to anchor and fish the intercoastal slope on a falling tide. Here we go - a long time ago I downloaded dozens of aerial photos of water we like to fish. This is Oilfield Flat, 3 Islands at the lower left. 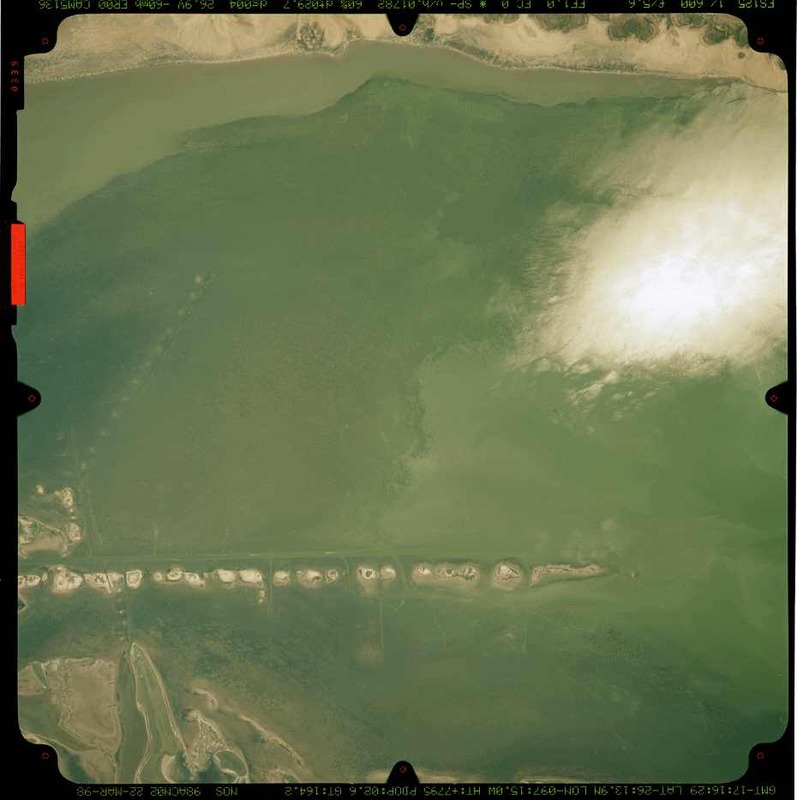 You can see the submerged spoil of the defunct oil well channel. And of course, this is all power boat water. Another time we were tied off to an 11' platform on Aransas Bay - got there before dawn. We were bait fishing waiting for schoolie specs to arrive. The sounder went black in mid column, stood up with the fly rod and was tearing up specs. Have done the same thing at pylons on Isabella causeway. The cool thing about this is catching odd species on the fly rod - blue runners, horse jacks, and a chance for snook. Of course with a power boat, you have the luxury of running 20 minutes and totally changing your style of fishing. With kayak you have to plan, and where you're at is your shot. Last edited by Ron Mc on Sun Sep 16, 2018 11:13 pm, edited 6 times in total. Frreed wrote: I'm another one. Amen. This is one situation that the fly gear really shines. It’s very possible to set up where the casting distance is so that if you miss or fail to get a hook up on a particular cast, you can in one motion lift the fly line up off the water and then shoot a cast forward. No need to reel in almost all the line to cast again like you would have to using a spinning or baitcasting rig. Cast, let the fly drift in the current or add in a couple of strips and pauses, fish on or cast and repeat until fish on. In the late fall and winter, this set up has also worked many times on redfish stacked in drains and guts. I’m casting to nearly the exact spot over and over again, repositioning the kayak slightly if needed, and even though a fish gets caught, there’s more right behind it to fill in the place. It’s like a conveyor belt of fish. any wizard with a fly rod will catch a fish every 3rd cast on average - all part of doing it right. I've told my stories of 50 white bass and 40 flounder on consecutive casts - all about structure and timing, but also understanding the situation and technique. Last edited by Ron Mc on Thu Sep 13, 2018 10:48 am, edited 3 times in total. I do a little, but the conditions I fish in are not favorable to the fly most of the time. I don't let wind stop me from fishing and that may mean learning new ways to counter it, but I do love fly fishing when I can, just not very often. Tobin, as good as you are at fish sign, and getting there, you should keep a rigged fly rod handy and try it a few casts where it makes sense. Easy to go between the two if you're organized. 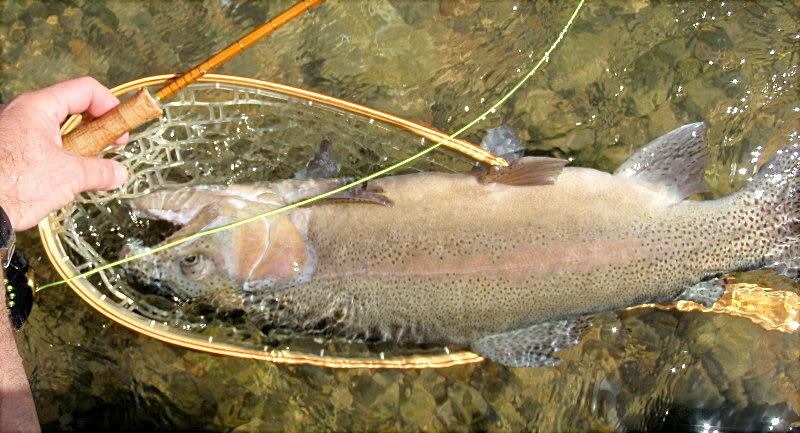 A slime line (intermediate or neutral density sinker) with an unweighted fly pretty much fishes like an unweighted grasswalker. Last edited by Ron Mc on Fri Sep 14, 2018 6:41 pm, edited 1 time in total. I like to try. Not an expert but I try. I bought my first fly rod with my driver's license and a part-time job as a tire mechanic. Took it to Pancranz crossing for Guadalupe bass, and didn't know how good I had it. 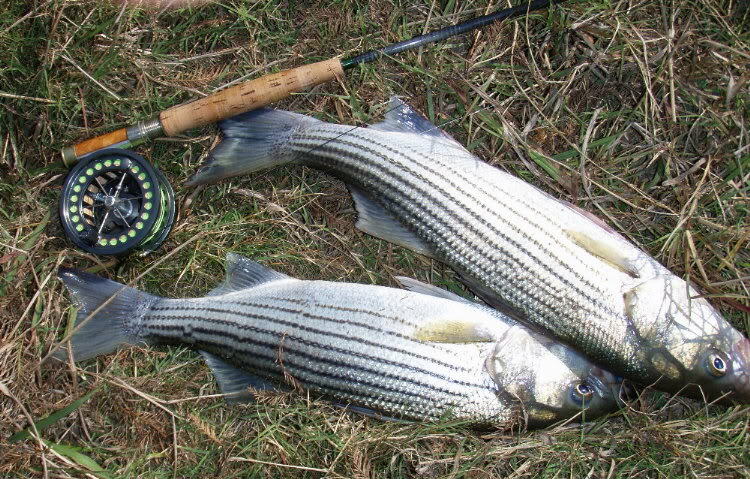 I really bought it for white bass, because I discovered smaller lures caught more fish - it worked. It's been part of developing anything I know about fishing for 44 years. Yes Ron it didn’t take me too long to realize that as good of casting practice as blind casting was that was all I was doing! Except there was the time I caught a Flounder and that is what I love about salt, you never know, or casting to a wake, expecting a Red and getting a Garr! So this might be another topic but since we are all here, most of the time fishing flats, marshes etc what is your go to fly? I know it changes, like for me if I have good sand bottom and sight casting I’ll throw some epoxy spoons I make. Or in guts and runs a Clouser. What I have been trying to tie and figure out lately is something for the shallows and grass. I read a lot about the Grass Walker, even old fashioned plugs like a Zara Spook, what is the equivalent for the fly rod and salt? sight-fishing skinny water - if you look at my photo of spec on Allyn's lake above, it's on the hook keeper. 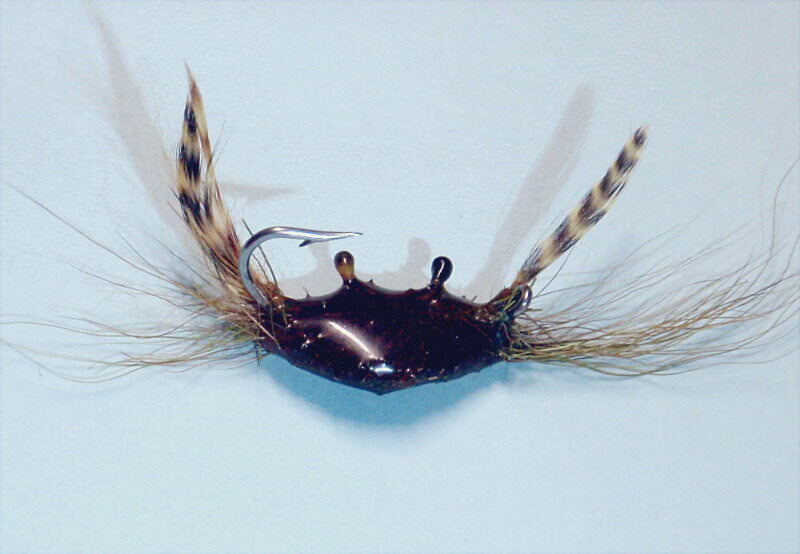 spent 10 years trying to imitate the rig below with a kicking shrimp pattern, which stripping a fly line naturally imitates. When I saw an Ally's Shrimp, I knew how to change it to do what I wanted. Tail is bucktail and krystal flash. Bead chain (clicks and whistles in the water), kevlar thread, palmered rooster hackle. Wing (the shrimp's tail) is pheasant crest, collar is pheasant rump soft hackle. 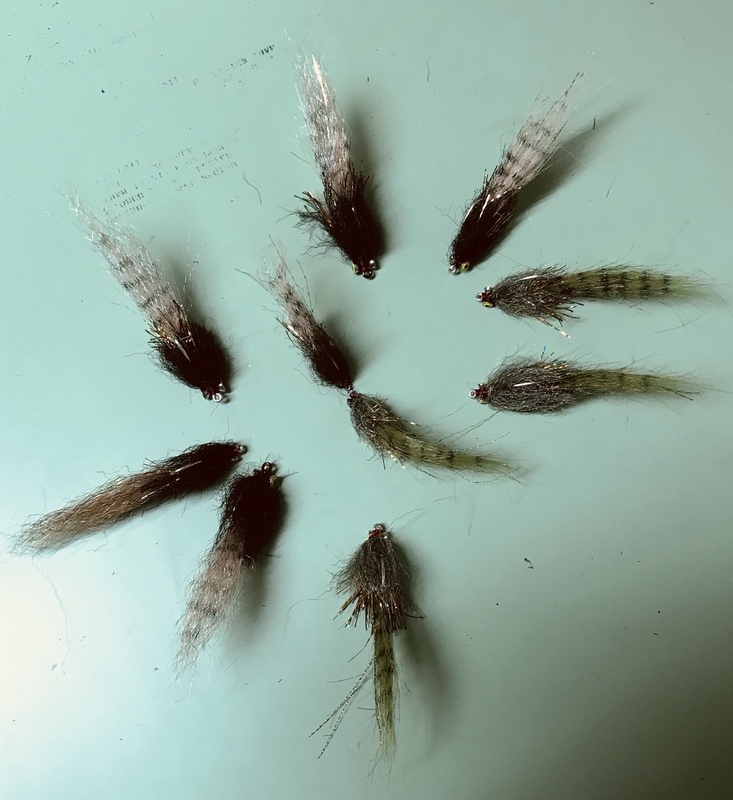 Nothing looks more like shell in the water than soft hackle. When you see shrimp jumping out of the water, throw this fly in there and slam your first strip - you may not need a 2nd strip. 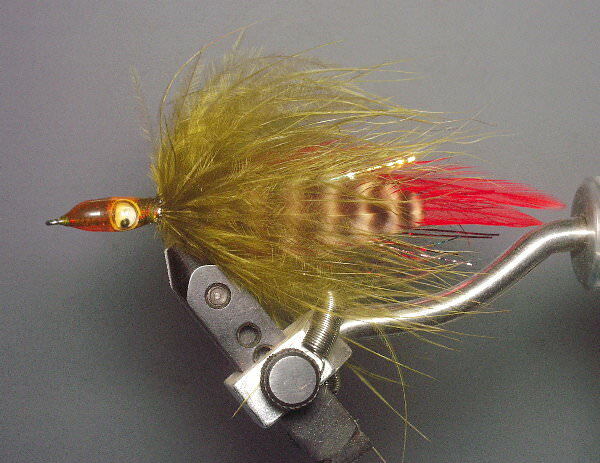 Great fly for reds, and seems to drive both specs and ladyfish crazy. I've also caught kings on this fly in jetty blackwater - they eat it slowly crawled, a few feet down. 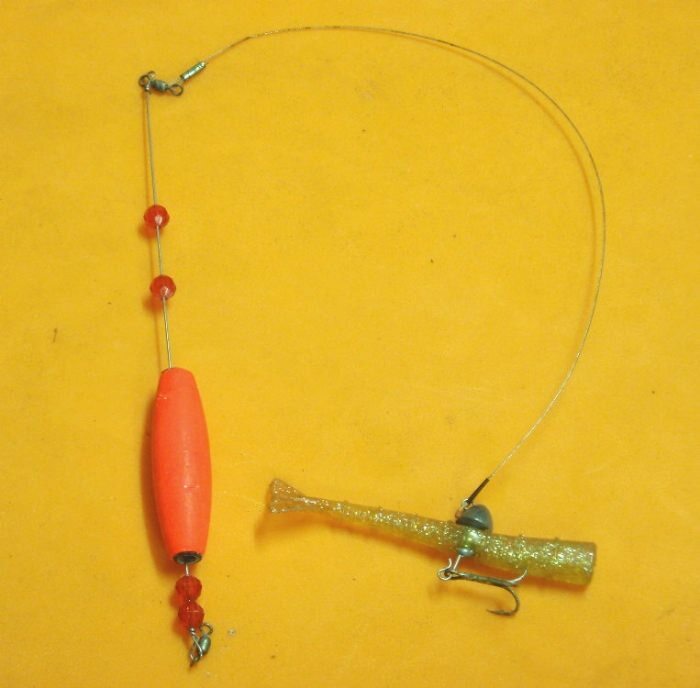 hi-tie - pinch small stacks of bucktail and stack them up the hook - of course kevlar thread. Doll eyes and epoxy head optional. The powder blue on here is synthetic hair. 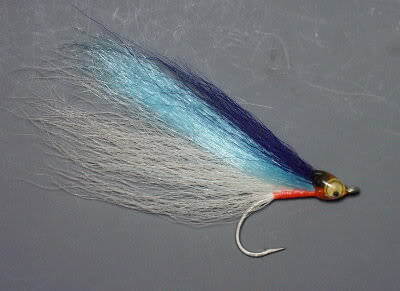 Of course you can tie any colors - whatever color bucktail you have around, and need a natural for the white on bottom. A drop of super glue in each of the stack wraps helps with this fly. 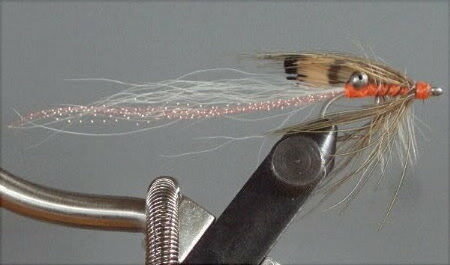 particularly good for reds beating bait - it's a basic cockroach pattern with a marabou feather tied as collar. Last edited by Ron Mc on Wed Sep 19, 2018 6:07 pm, edited 6 times in total. I figured you’d have some good ones Ron! Time to get to work on some! I’ve been playing with tying some topwater poppers, I’m going to have to get an account somewhere so I can post pics on here! JW FunGuy wrote: I figured you’d have some good ones Ron! Time to get to work on some! There’s a lot of good marsh patterns. Another good one is the one I think Andy Packmore developed at FTU. Here’s a video of Capt. Scott Null tying one up. Redfish crack is good in that it can be weighted variable to fit different situations. Here’s a couple of my favorite color combinations. 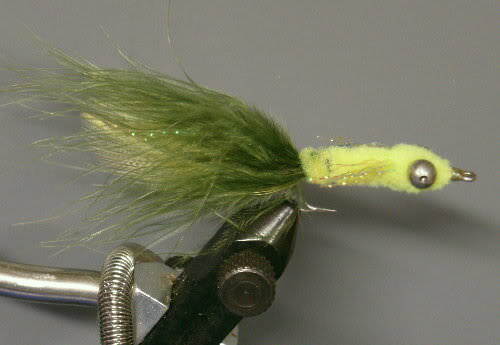 The borski slider is another excellent marsh pattern. Pink and tan and olive have been good colors for me. Damn! I’m going to have to step up my flytying game too! And a Black Drum to boot! Those things have been taunting the hell out of me. I don't particularly like throwing this thing because of the weight and the long leader you use on floating line. I fish it on bare sand bottom - the ring around lakes, passes between lakes (the bottleneck). Cast it at a tailing fish and slowly crawl across the bottom. Both black drum and reds, I've had them see me, turn away, shudder, run back and grab the fly. The photo also doesn't show how transparent the epoxy is. caught my biggest sight-fished black drum ever, in the back of fence lake. 26" black drum - his back was way out of the water. I made 5 presentations to the fish - and he yawned. He finally turned away in disgust - then he shuddered, ran back and grabbed the fly. When fish see you like this, they think you're a bird, so act like one - smooth, stealthy movements. Use your haul with short, smooth sidearm. Last edited by Ron Mc on Thu Sep 13, 2018 4:28 pm, edited 2 times in total. JW FunGuy wrote: Damn! I’m going to have to step up my flytying game too! That’s actually a little sheepshead. Here’s a Black Drum that went for a shrimp fly. Yep, sorry I took a quick look and didn’t catch the dorsal fin. But to both, Damn!